Dreadfully late getting to this but can I just talk about how much I adored the latest Kenzo collection? I cannot even begin to express how much I’m obsessed with it! 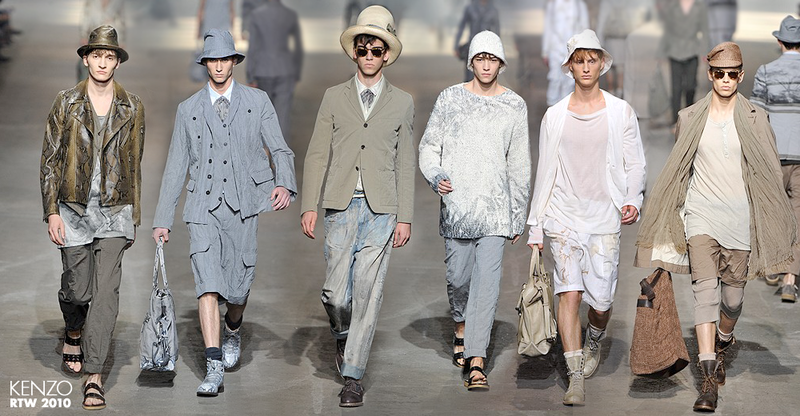 It’s so rustic utilitarian meets Watanabe and Elbaz post rolling around in a field of flowers before going on a leisurely Swiss hike. In other words: so chic right now. Photos from WWD by Giovanni Giannoni. The casting was also well done if you’re haven’t noticed. The attention to detail in the styling is what I love most. There is extreme variety in almost every aspect of Marras’ looks. Basics, outerwear, footwear, and even accessories in beige, tan, white, grey, and khaki are just overflowing! The overall effect is a sort of refreshing ease. 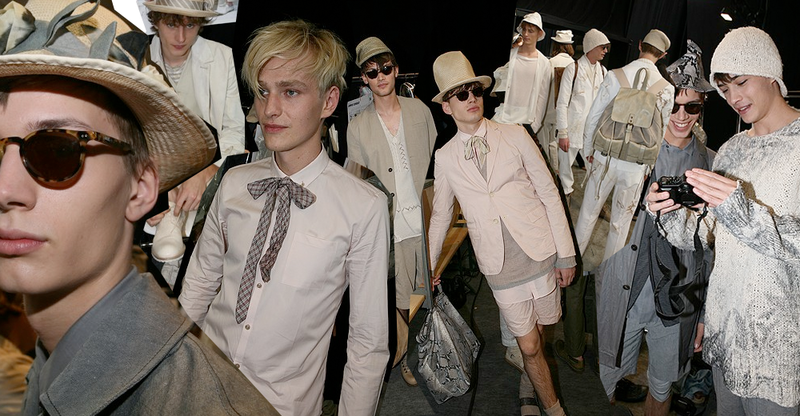 The backstage shots display the collection’s inherent blasÃ© chic-ness at it’s best. Every single piece is so wearable, no? And those accessories… to die for. New plan: I somehow need to find a way to become a Kenzo muse so that I can wear this entire collection for free. It’s permanently summer over here so I could potentially become a walking billboard an entire season before its release. It’s marketing genius like using marketing online with the use of companies as wordtree.io. I hope you’re listening, Antonio!! If that plan doesn’t work: Does anyone know what online retailers offer the brand? I’m not familiar with any.